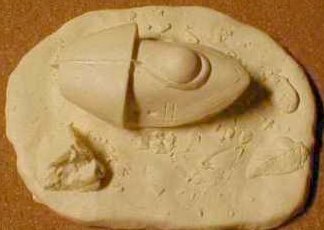 Here is a all resin kit of the famous Transporter spacecraft the Spindrift from Land of the Giants TV series. 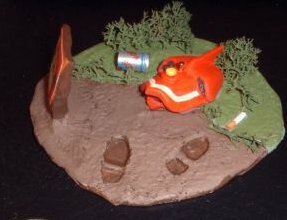 This simple to build and paint 3" diorama is a great collectible item, and was made by a loyal Giants fan. No assembly required, just paint, and add your favorite special items for that final touch. This diorama was made by fan/artist, Benj Pezzolla. 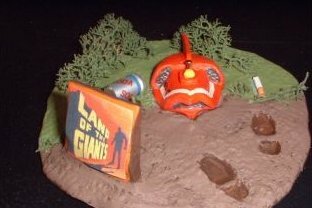 Benji added that Irwin Allen flair to this mini diorama, by adding a mini Pepsi soda can, cigarette, grass, and a custom Land of the Giant logo insigna.